Welcome to the Schott-Pelican Chapter of the Society for American Baseball Research. We continue to add new features, so be sure to bookmark the site and check back often. The Schott-Pelican Chapter meets twice a year -- in the spring and in the fall. Contact Derby Gisclair for details. 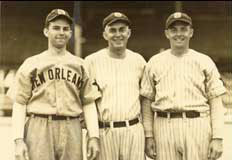 The Society for American Baseball Research (SABR) was established in Cooperstown, New York in August, 1971. Our mission is to foster the study of baseball past and present, and to provide an outlet for educational, historical and research information about the game. 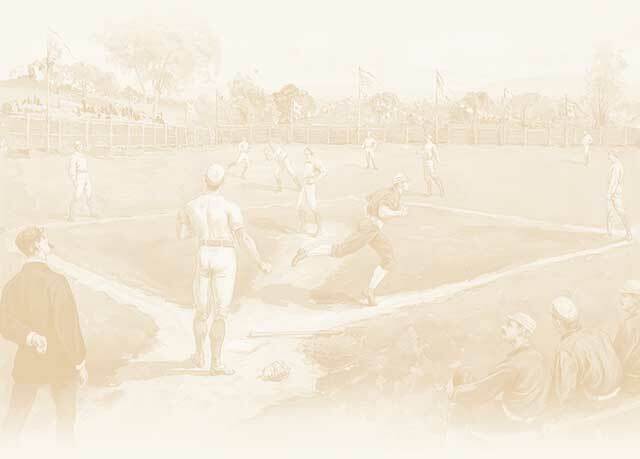 The Schott-Pelican Chapter was founded shortly thereafter and has brought together baseball writers, researchers, fans, players, coaches, and others who love the great game. Our semi-annual meetings put you in touch with others, like yourself, who have a deep interest in baseball - -- for research exchange, scholarly discussions, or perhaps just someone to go to a ballgame with. We welcome you to our website and invite you to contact any of us at any time.